ShortScale :: View topic - Single coil sized humbuckers fit under Mustang pickup cover? 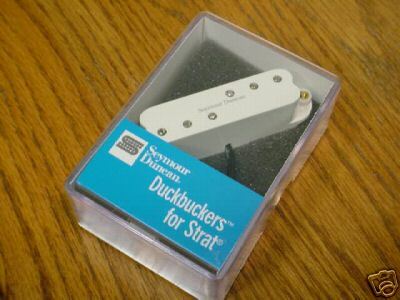 Posted: Mon Jul 09, 2012 11:34 pm Post subject: Single coil sized humbuckers fit under Mustang pickup cover? 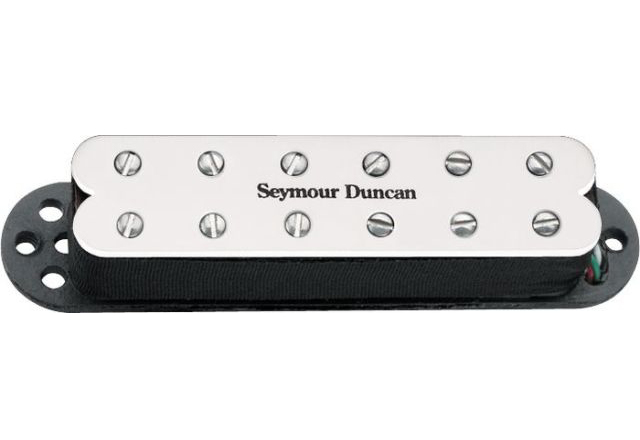 Will the old style Seymour Duncan single coil sized humbukers fit underneath a Mustang pickup cover? If not, any suggestions ? I've heard varying stories that they do & don't so just need a definitive answer on this. Would be nice to keep the original aesthetic if possible. Lookin' at the Cool Rails which I really like. I got a generic rail humbucker off of eBay that I got to fit under a mustang cover after filing the corners just a little bit. hint: you have to use true mustang covers. the other hole-less strat covers are actually a bit smaller and won't fit a humbucker. i know cowbell did the same thing with a JB JR.
Ok that's great to know thanks. Old. Saves you the trouble of getting the cover off. I used one in my Jag in '98 so I wouldn't have to route for a hotrail's stratocaster baseplate. They've since changed both pickups' designs to use the same cover. I just wondered what was smaller oeverall.... it sound like robroe had more difficulty fitting old style rail without a cover than the new style with cover taken off. yeah good point. I would guess that the pickup with cover removed is probably smaller underneath than the one with no cover. Hadn't considered they were actually different under the cover, my bad. The old school ones had considerable gaps in a strat pickguard which was why I figured they put the cover on, but now that I look at it the polepiece-to-edge spacing on the top looks the same so they probably redesigned it to be the same size as a Strat pickup. In a way I think it might be better anyways going for the old style so at least you're not messing with the pickup, but only the cover, and you could always sell it on if need be. I imagine under neath the newer SD there will be no ribbon and so on... but I dunno. Perhaps robroe can chime in again. 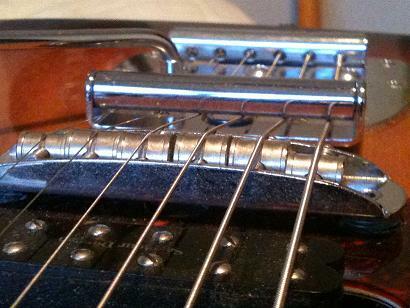 well, there's no ribbon around strat pickups. they only have the cover. you could try an Artec hotrails. I've got a Dimarzio doing nothing Doog. It's essentially a single coil but noiseless, I think it's either a HS-2 or FS-1. Used by Johnny Ramone in his Mosrite, think Malmstain used a HS-2. I can check if you want? sorry it took me a month to respond. more effort ? that video is 56 seconds long. if you cant spend 56 seconds extra doing something then dont' ever get married.